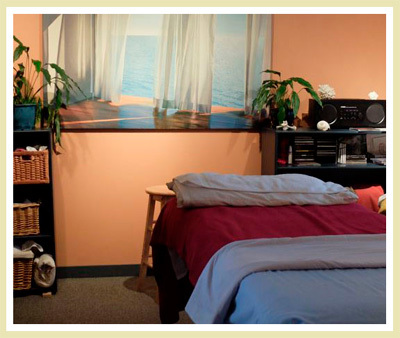 Bisia has been a Registered Massage Therapist for over 25 years. She offers individual massage therapy sessions, self-care classes, workshops and professional development training. Clients can book Bisia for a personal massage or group workshop/class, or attend one of her quarterly Sensing Anatomy: Flesh and Bones workshops. Bisia participates in continuing education courses in a variety of protocols. Her techniques include: Swedish, Acupressure, Polarity Gravity Lines and Myofascial Techniques. Bisia has also developed SoundBody Therapy, a distinctive method of massage. SoundBody Therapy training opportunities and continuing education workshops for Registered Massage Therapist are available throughout the year. Contact Bisia or visit her Schedule Page for more details. Bisia also offers Professional Development opportunities and Community Wellness Workshops for a variety of audiences. VoiceWorks and VocalBody Arts Teacher Training is also available. *If you are a returning patient, you may also contact Bisia via email. Click here for location and map. or full fee reimbursement depending on your plan. please give notice 24 hours before your appointment time otherwise a cancellation fee will apply.